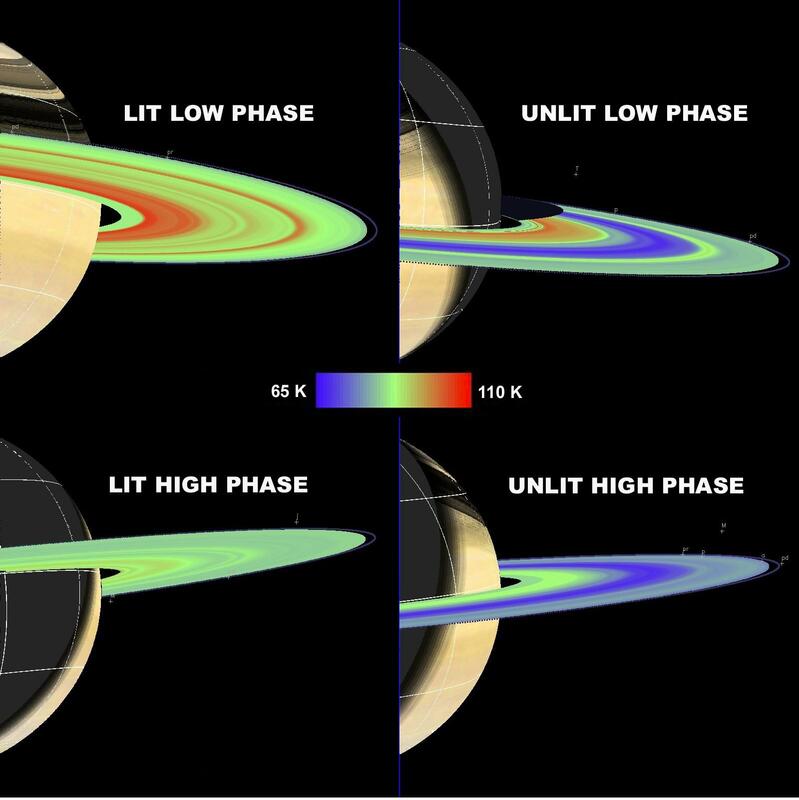 The Cassini composite infrared spectrometer obtained temperature maps of Saturn's main rings (A, B and C) that showed ring temperatures decreasing with increasing solar phase angle (the change of the sun-spacecraft-ring angle) on both the lit and unlit sides of the rings. 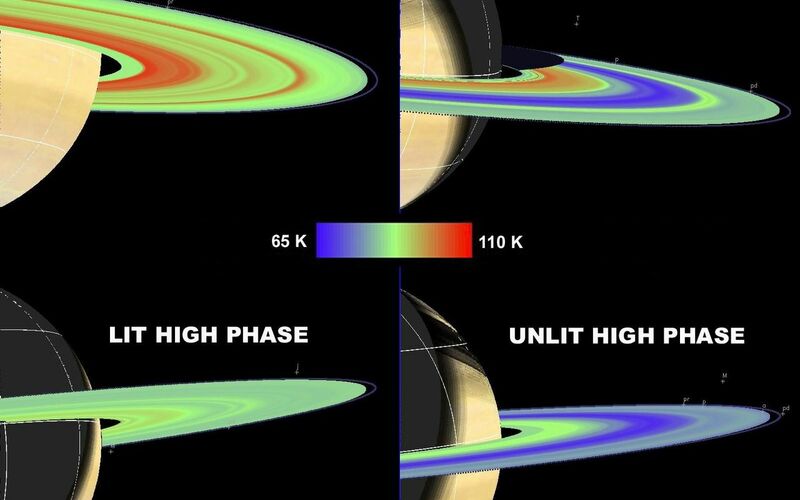 Temperature changes throughout Saturn's main rings, as measured by the instrument, indicate that Saturn ring particles spin slowly compared to their orbital periods of 6 to 14 hours. They may spin several times per orbit to less than one time per orbit. 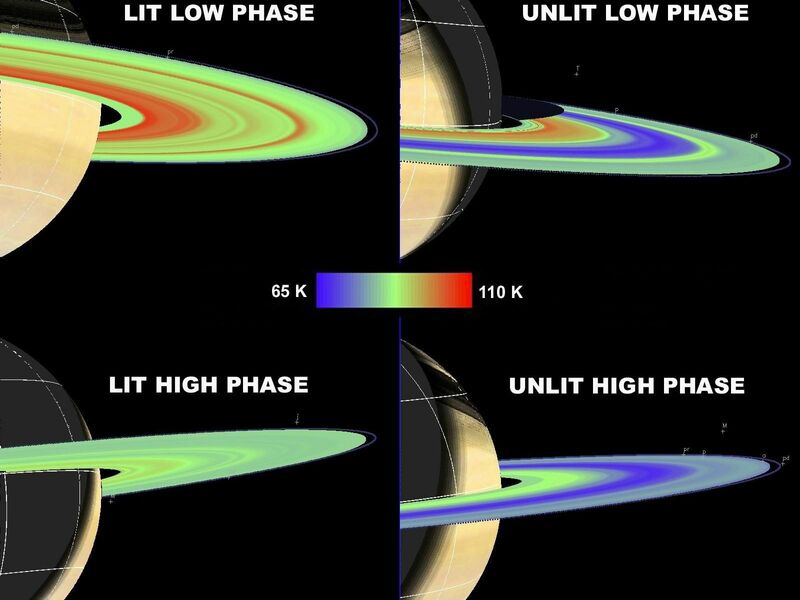 Scans are shown for the lit and unlit rings, at relatively low (less than 60-degree) and high (more than 130-degree) phase angles. Each scan was painted on the rings at the correct ring orientation, creating a false color image. Warmer temperatures about minus 262 degrees Fahrenheit (110 Kelvin) are shown in red and cooler temperatures about minus 343 degrees (65 K) are shown in blue. Other colors indicate temperatures between minus 343 degrees and minus 262 degrees (65 K and 110 K). 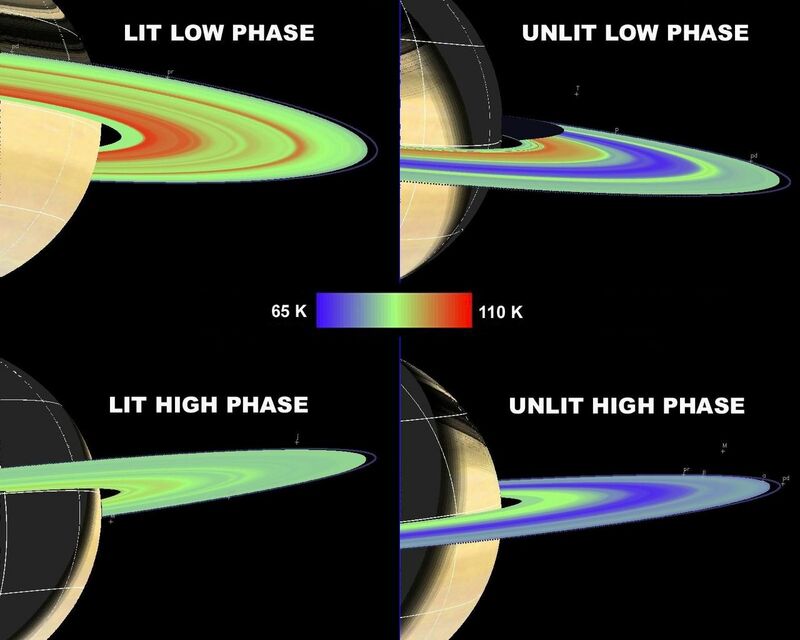 The scans of the lit rings are shown in the two panels on the left and scans of the unlit rings are shown in the two panels on the right.